Chillies originated in Mexico. There are over 10,000 varieties of chilies in the world. Chili fruits come in a large variety of colors shapes and sizes. Unripe chili pods vary from green, white, yellow or purple and ripe pods can be green, white, brown, yellow orange and red. Chili produces capaicum, the chemical substance that is felt by our tongues as pungent spiciness. Chili is either used fresh as green chili or is dried and grounded to make powder. When dried, green chili turns red, however chili is found in many attractive colors like yellow, mustard and black. While it may not be as sweet as the other fruits we’ve come to love, that doesn’t mean the chili pepper is any less delicious. So pile on that chili powder, hot sauce, or gochujang. 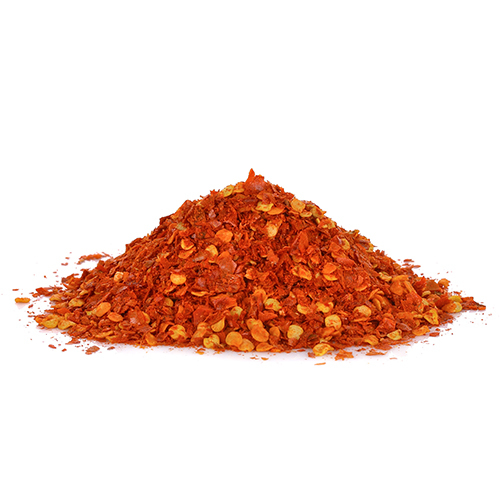 Chili powder is used to give special color and aroma to cuisines. It is hot and is used all around the world to spice up food and stimulate taste buds. Chili in powdered form is used with curd, yogurt, sprinkled over fried potato dishes etc. Chili sauces are an excellent support to enhance the taste and heat of the food, add chili to soups as well. Red chili powder can add extra spice and heat to tomato sauces, and chili paste will help a lot while cooking since it can be prepared quite easily. Chili infused oil are endlessly useful, it can be used for sauteing food, salad dressing, with vegetable marinades and meat. Cooking in Chili infused oil is the easiest way to enhance the taste of food. Chili infused vinegar is a smacking substitute for simple vinegar; it can be used for pickling, dressing, vegetable topper and with bread. Chili infused vinegar is a good substitute for oils used in meat marinades and for making puddings and sauces. In the botanical sense, chilies are berries. In the horticulture sense, chilies are referred to as fruit. Chilies harvested while still green are called vegetables whereas ripened and dried chilies are referred to as herbs. Most varieties can be harvested after 70 days in the green state, but are fully ripened after 130 days.